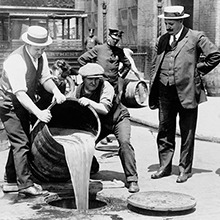 I’ve judged many cocktail competitions over the years and pretty much every drink in all those competitions were presented in a glass. Hence, I was excited this time to judge a competition where the cocktail was secondary to the glass it was presented in. 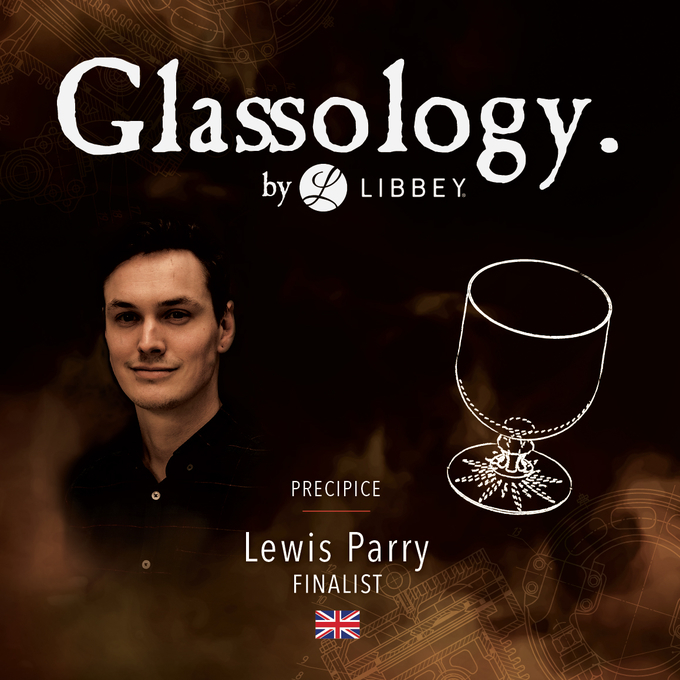 Glassology must be a clever competition, after all, it's got an "ology" in it. 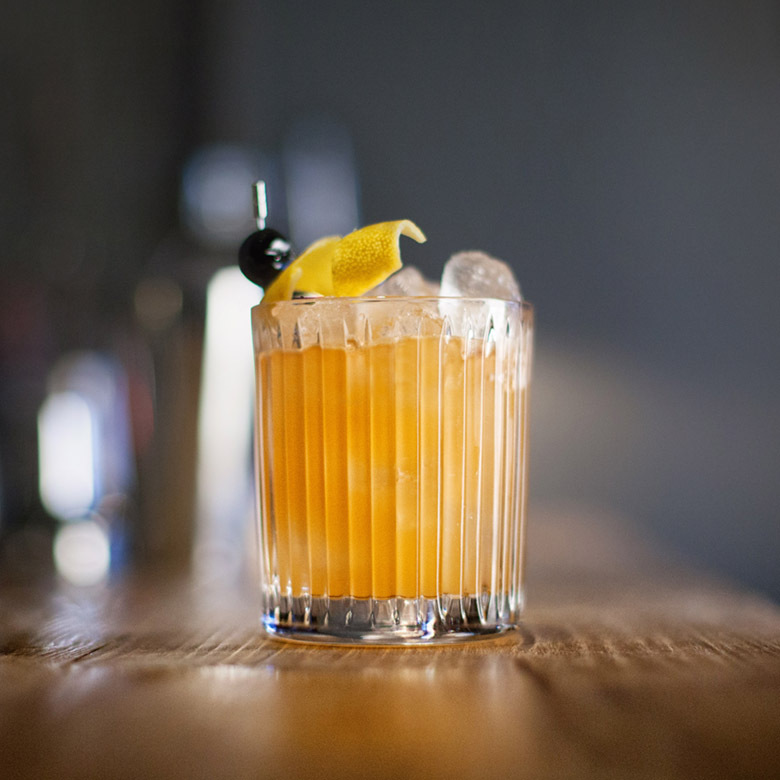 It's certainly an ingenious way for Libbey to interact with the bartenders that use their glassware and be first to implement new glass designs to suit international trends in cocktail culture. Through Glassology, Libbey gives bartenders the chance to not only design their own glass, but to put that design into production. 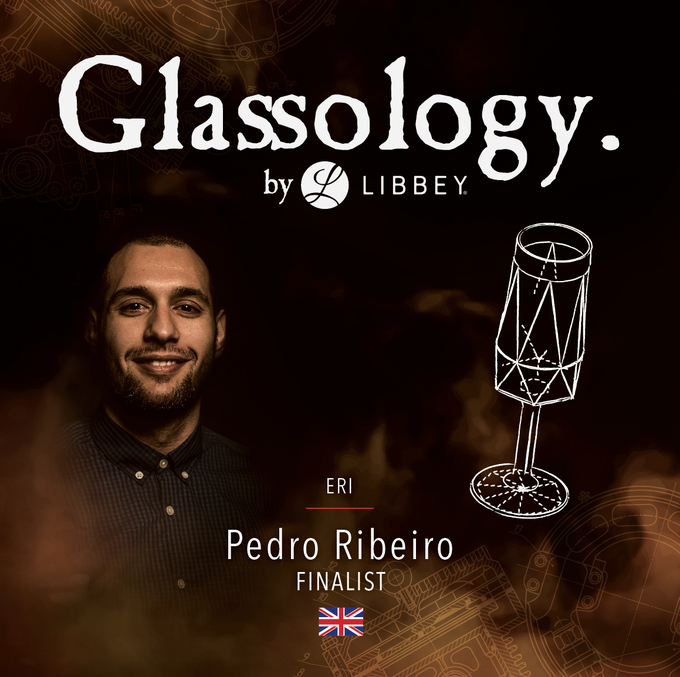 Now in its second year, Libbey's Glassology Design Contest has proved very popular with bartenders, attracting 375 entries from 53 countries. 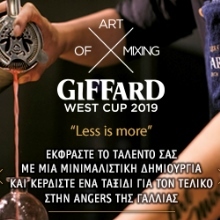 This led to 130 glass designs for the folk at Libbey to sift through to arrive at the 24 finalists who were invited to personally present their designs to myself and my counterparts on the international jury. All 24 semi-finalists were given a tour of one of Libbey's glass factories where they also received a master class in the different processes used to make various types of glass - moulded, blown, etc, and the many ways a glass can be decorated or embellished. They were also given feedback on their initial designs by the judges. Armed with this feedback and their newly acquired glass production knowledge, the six who made it through to the final, did so with tweaked and much improved designs. 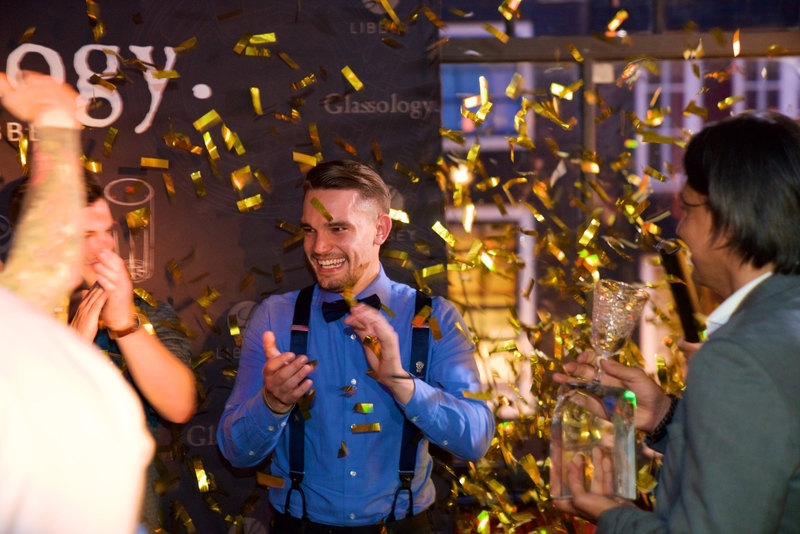 The final was held on 28th May at Amsterdam's Perfect Serve Bar Show, with each of the six finalists taking the stage to present not only their final glass design, but their ideal drinking experience, each presenting their cocktail in a 3D printed replica of their glass. 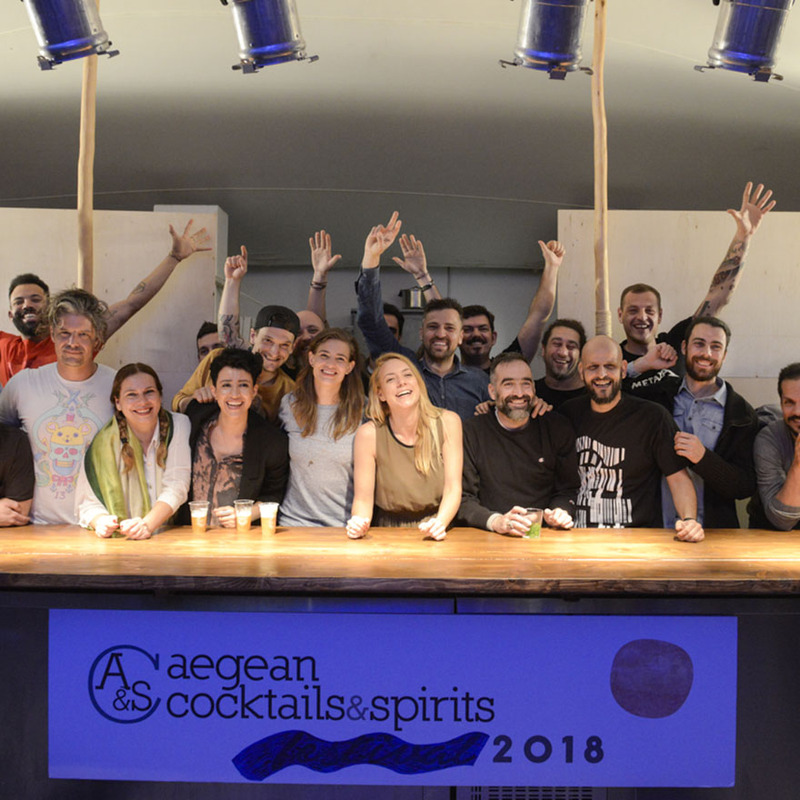 I was given the honour of naming Yochen Verbeeck, a bartender at Cocktail at Nine in Belgium, the winner. 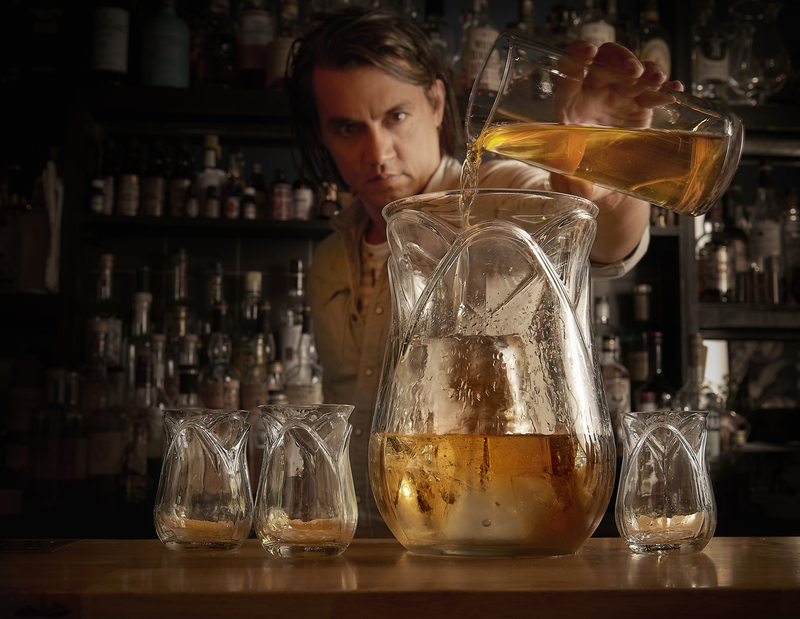 He will receive the first 250 pieces of his glass design straight from the production line and will act as the Glassology Ambassador at Tales of the Cocktail. 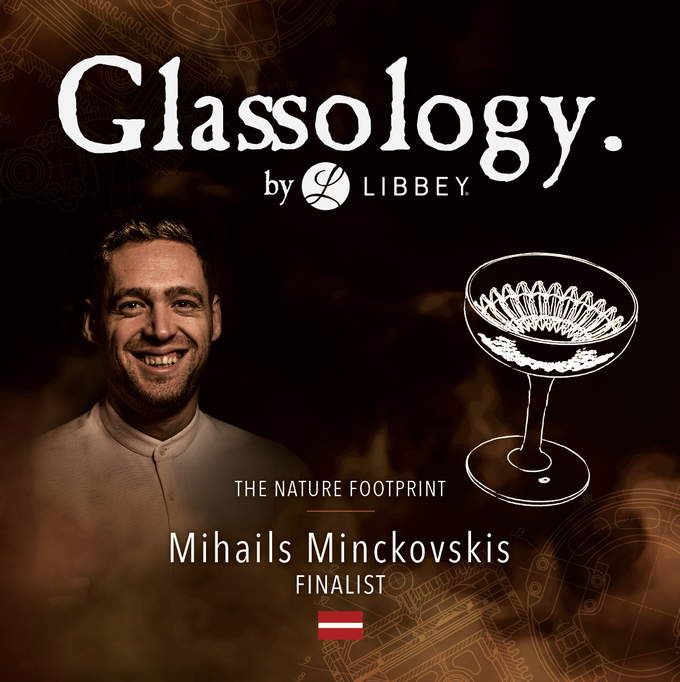 Yochen will also sit on the jury of the next Glassology contest. It was a vintage vase of his grandmother's that inspired Yochen's 1920s Art Deco-style design. 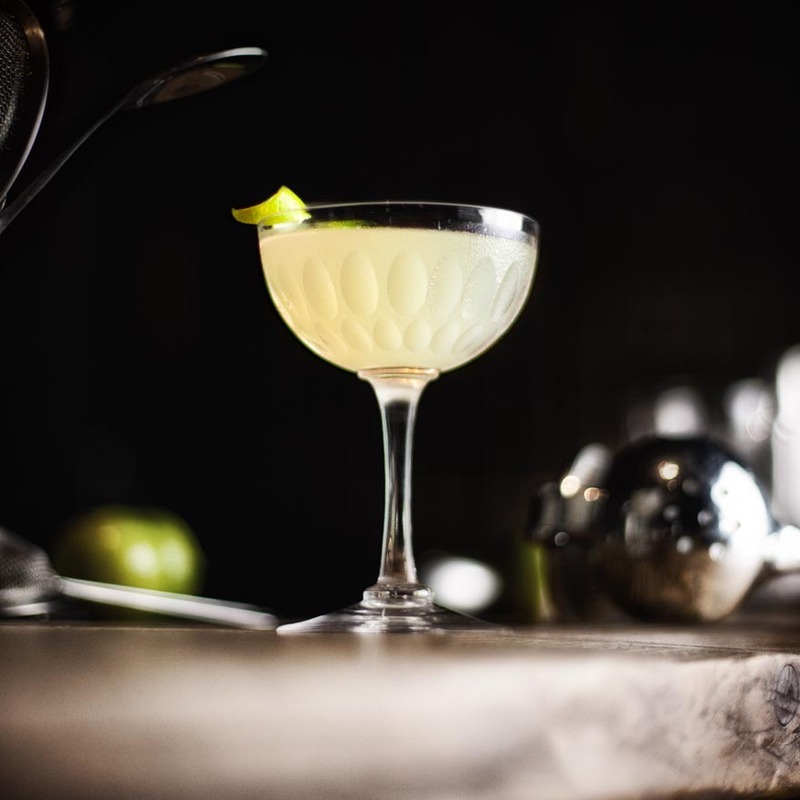 His curvaceous The Gatsby glass is fittingly named after the The Great Gatsby novel by F. Scott Fitzgerald, that refers to the roaring twenties in New York. Seventy percent of the earth is covered by sea, and glass is made from sand that comes from the sea. Inspired by this, Mihals incorporated the unique pattern Japanese Puffer fish leave in the sandy seabed in his Nature's Footprint glass design. Like the fish, it made an impression, so much so that he narrowly missed first place. 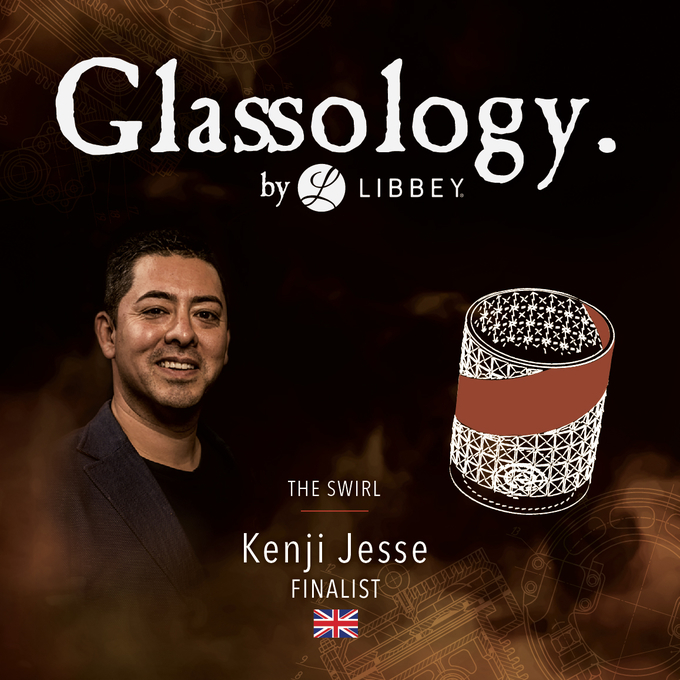 The sense of touch and how this affects taste inspired Kenji to incorporate copper into his Swirl glass so that the drinker can experience different textures as they hold and drink from the glass. Pedro named his glass Eri, the Finnish word for different to reflect the different geometric designs in his complex flute glass. Lewis is a master carver of ice-balls but finds that existing flat-bottomed glasses don't work well for serving drinks with ice-balls. Hence, his Precipice glass has a rounded base which cups ice-cubes, so forcing the wash-line of the drink higher up the glass. His glass is also stemmed so the drinker can hold the glass without warming the drink inside. Why Precipice? Because it is designed to hold drinks "served up on the rocks." 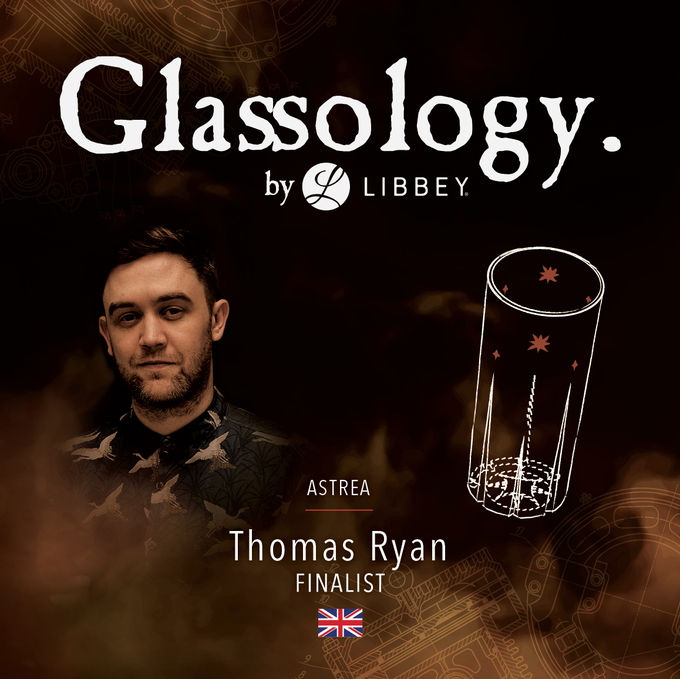 Thomas' Astra glass is inspired by the beauty of the stars that twinkle in the night sky with flutes rising up the sides from the points of the star in its base. Stars also decorate the glass. His cocktail, Shepherd's Delight was of course red - after all, "red sky at night..."
Robert Schinkels won the first Glassology Design Contest with his Tulip Bowl punch set - complete with bowl, 12 glasses and ladle. His design remembers the Golden Age, when the tulip was not just a flower but was one of the most expensive products on the market; a period that was also a Golden Age for the punch. 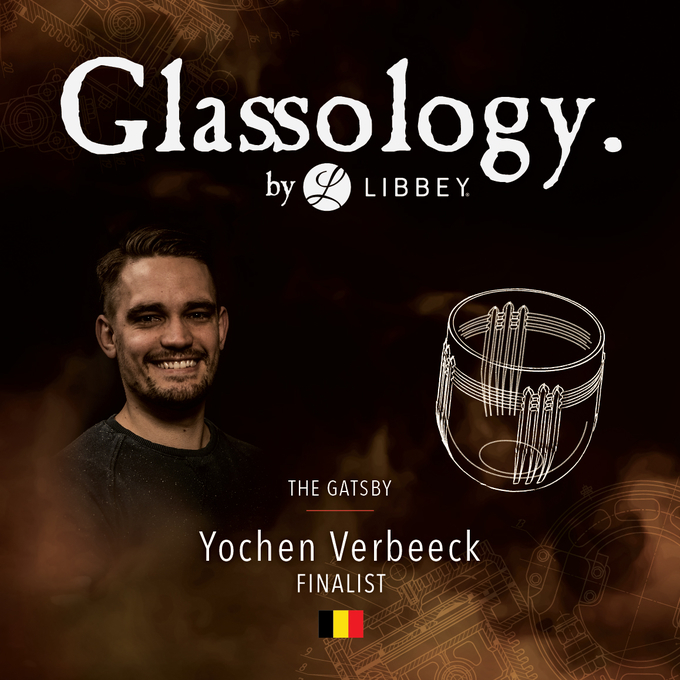 Libbey say, "after the dust of the second edition has settled and Yochen's glass is produced in one of our factories, Libbey will promote a third edition of the competition. 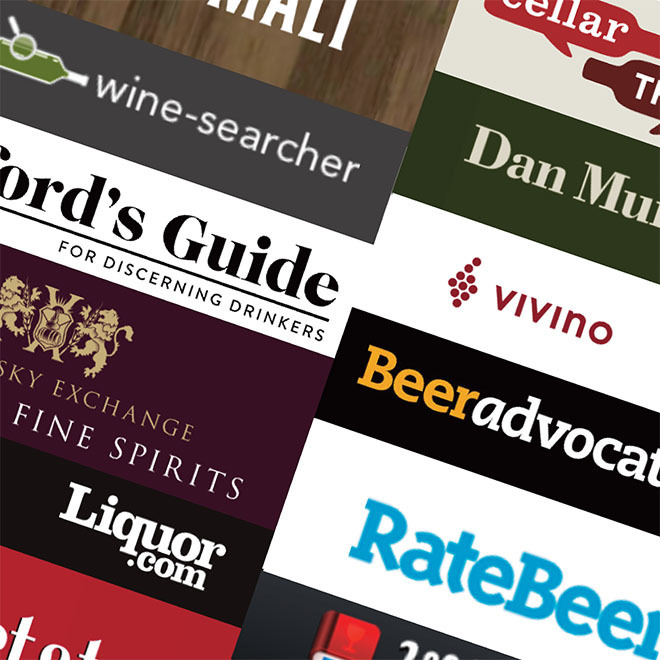 With interest picking-up across the globe, the third edition promises to be another step forward. 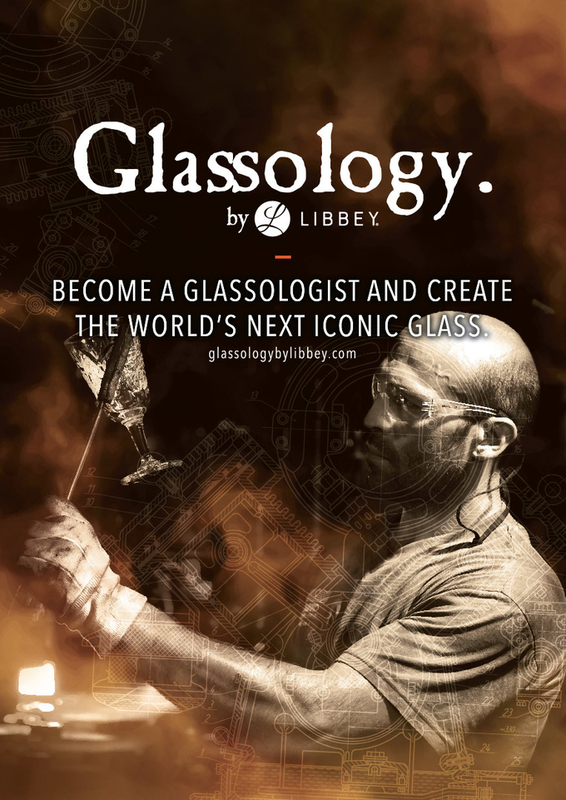 Drinks professionals from all around the world are invited to join over 4,000 professionals in the Glassology Facebook community and follow Libbey Glassware Europe Instagram|Facebook feeds. 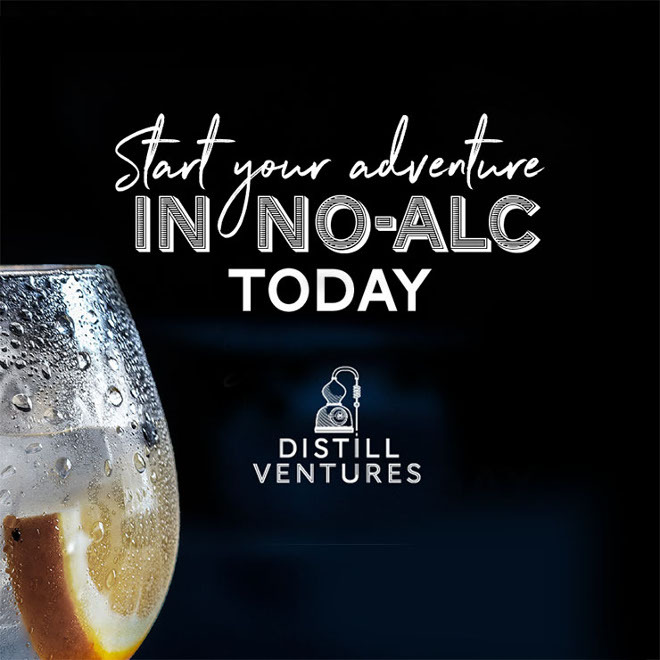 This way you will be informed about the upcoming edition, be inspired with cocktail recipes and presentations from leading professionals across the globe, as well as be able to participate in regular challenges with interesting prizes."